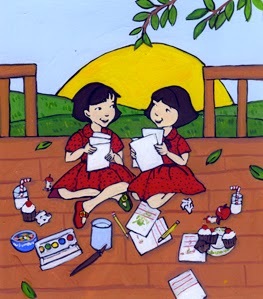 GraceLinBlog: Tell Me a Story…TWICE AS SILLY as Ling & Ting! 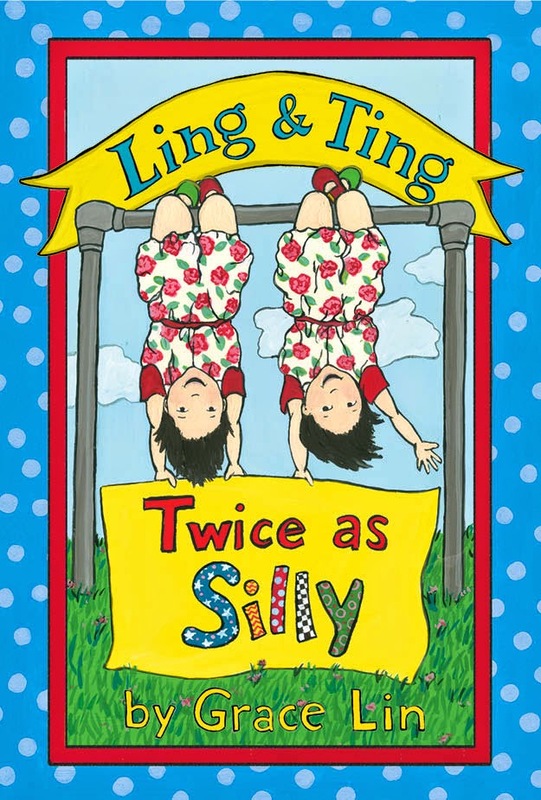 Ling & Ting: Twice as Silly has just released! Once again the twins end their day by telling silly stories. This time, though, the stories are TWICE AS SILLY! I hope to celebrate the new book by hearing my readers tell me their silly stories. Whether it is something you wrote using the new Ling & Ting Story Starters or something silly that happened to you, I would love to have you record your story on video. Why? Because I want to see you tell it and I would like to share your story with other readers! If you share your story, you will receive a free Ling & Ting print in the mail! One random storyteller, will also get a Pocket Pacy!! 1) The offer is open to my readers from ages 5-12 and the educators and librarians that are my other valiant readers. One entry per reader, please. The offer will remain until supplies last. 2) You must, of course, have your parent, guardian, or teacher’s permission to make and share a video. If you have their permission, always protect your online safety by not saying your name or your location. 4) Load the video onto YouTube, Vimeo or onto my Facebook Page. Loading the video in either location implies that you are willing to have others see it and to have me share it with other readers. Message me at gracelin.manager@gmail.com if you want to share your video with me privately. 5) Tell our friends at Curious City DPW that you have uploaded a video and give them your mailing address to get a Ling & Ting print. NOTE: Curious City DPW will only use your address to send you a print. They will not sell or share your address. Your address will be deleted after shipping. EDUCATORS, LIBRARIANS, OR GROUPS. If you have multiple videos and would like multiple prints mailed to you directly, please make arrangements with Curious City DPW by e-mailing kirsten@curiouscity.net.